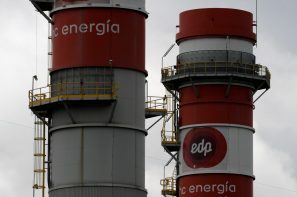 It’s no surprise that EDP rejected a lowball 12 billion euro approach from China Three Gorges. The Chinese state’s effective 28 pct stake in the utility suggests a counterbid has little chance of success. But some European utilities may yet have grounds to get involved. Italy is leading the resistance to a European Central Bank plan to shrink banks’ bad debts. A victory will be empty, though. Ignoring defaulted loans hurts new lending. Failing to clean up legacy balance-sheet risks could also kill off the euro zone’s bank deposit scheme. The euro zone is pushing a joint deposit insurance scheme to complete its banking union. But the revised backstop might only kick in if national banking systems pass an invasive health check. It’s a reminder of how far European countries are from underwriting each others’ debts. The three biggest banks plan to jointly manage their bad debts rather than selling them off. They have little choice. With common equity Tier one capital ratios averaging 11 percent and earnings depressed, lenders can ill-afford further hits to capital. Further tax increases mean the troubled country should avoid a debt downgrade, keeping its bonds eligible for ECB money-printing. Yet Lisbon's high debt load and weak growth mean the risk of a restructuring hasn't gone away. It could kick in after next year's German elections. The European Commission doesn’t want to fine Spain and Portugal for flouting EU budget rules. That may look toothless, but piling on fines when both are struggling to cut their deficits doesn’t make much sense and risks political backlash.